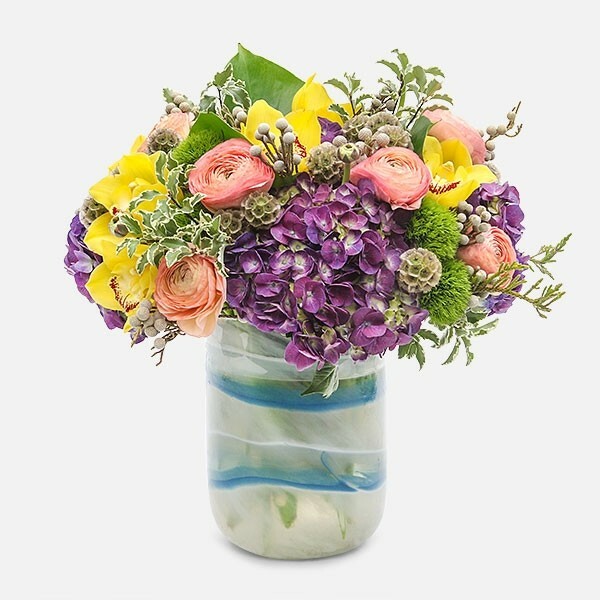 Summer in the Hamptons with breezy blooms in a wavy vase. Listen to the sound of the waves and smell the salt of the sea with these summertime flowers. 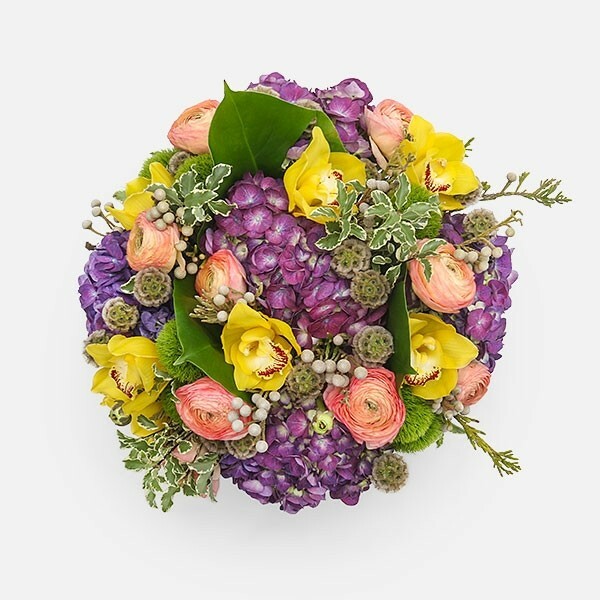 Purple hydrangea, yellow Cymbidium and pink ranunculus in a tall arrangement. 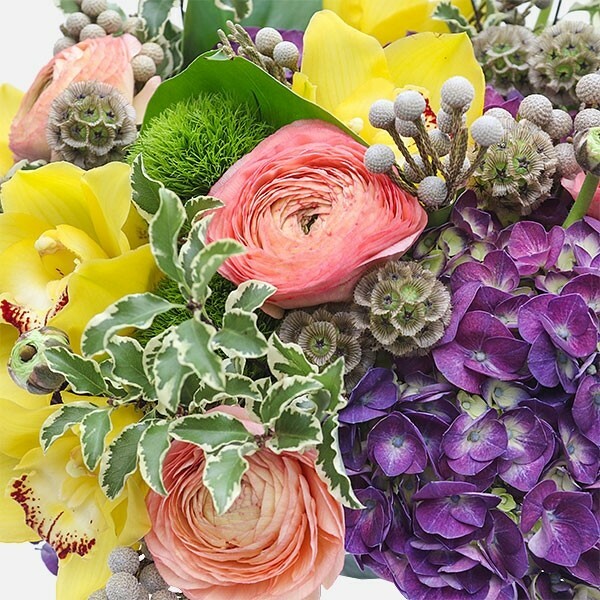 Sit back and relax with our Hamptons Home arrangement and other beautiful flowers from Plantshed.